Well worth the wait! Here is the photo of Brie Aitken after being awarded Supreme Champion Rider at ISHE. A huge achievement Brie, well done. 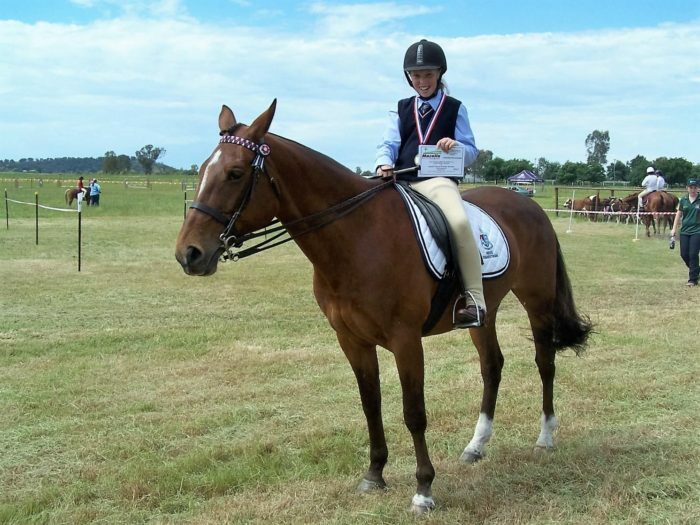 Year 6 student Caitlin Croft did a wonderful job representing the school at Calrossy Horse Sports! She was 1st in hack, girl rider, pairs and Champion Junior Girl rider under 12. She also managed to come 1st in the Keyhole and place in the flag race, bending race, running T and barrell race. 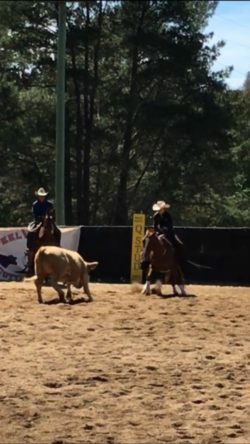 She also went to Uralla Gymkhana and managed to place in almost everything. 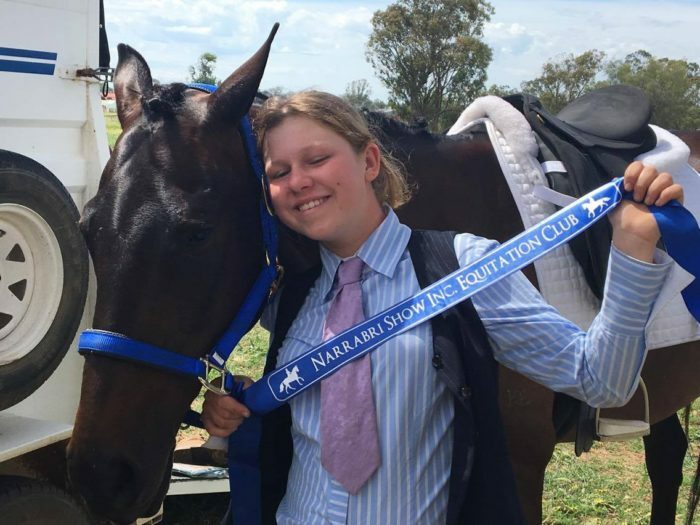 Sahvanah Hunt-Falkiner did a very good job on her mare, Zanzie at Narribri Equitation Dressage Championships! They did a great job to win the Junior Official Prep B class. Well done to our very own Charlotte Jacobson. 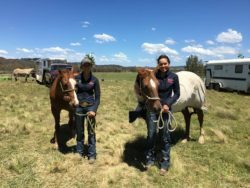 Her and Nemo had a brilliant weekend competing at the Carcoar Show. They were were Champion Junior Rider and Reserve Champion Galloway. If that wasn’t enough, they were also Reserve Champion Rider and 1st Open Galloway at Grenfell Show. Keep up the good work, Charlotte. NEGS Bending and Flag Race Afternoon. Thanks to the girls who participated in our fun afternoon of bending and flag races. The true competitive spirit came out in every girl riding. Abby Finlayson was the overall champion, with Anna Jarvis close on her tail in second place on her eventing horse. 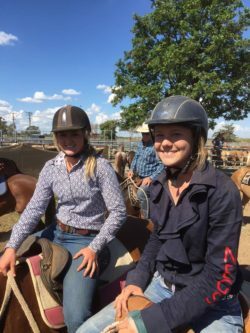 Well done to the girls that competed at Coonamble Campdraft at the beginning of November. 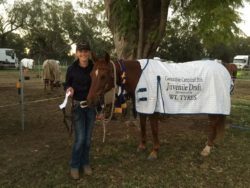 Ashlee Petch did a brilliant job to win the juvenile draft. Madison Teague and Laura Hardie both had great runs and finished just out of the ribbons. Great job girls and thank you for representing the school so well. Tamara and Susan had a wonderful weekend at Nowendoc’s Cutting for cash in Armidale. Both girls competed in the Rookies and Youth, proving to be very competitive. Susan riding Sass managed to place 5th in the Youth. Tamara riding Shakey placed 4th in the Rookies and 3rd in the Youth! Well done girls. Brilliant effort from both of you! The girls had a great time jumping outdoors on Wednesday. In the 65cm, Holly Coulthard finished in 1st place on her young horse and also managed to win the 95cm on her other horse! In the 80cm, Anna Jarvis was her speedy self and finished in 1st place! In the 1.05cm, Matilda McCarroll had a beautiful ride and finished in 1st place!